Norwegian trawler Arctic Swan, which had been detained by the Russian authorities last week, has been released and is on its way home. No serious problems were found during the detention and it was demonstrated that the correct volume of shrimp had been reported, while a minimal quantity of whitefish in the fishroom was from a previous trip in Norwegian waters – and the trawler’s owners risked a fine for failing to report this on entering Russian waters. 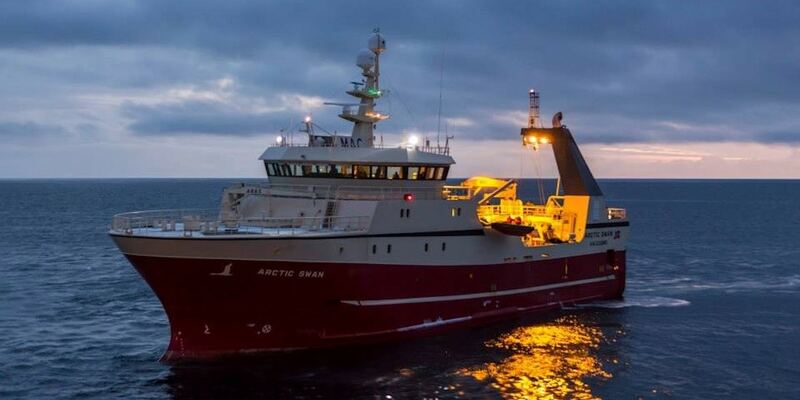 Arctic Swan AS’s general manager Einar Jan Remøy commented that the Norwegian consulate in Murmansk provided every assistance, and he and the trawler’s crew are grateful for their efforts. ‘Thanks to a patient and highly competent skipper and crew, the situation was handled well. Now we aim to get the necessary maintenance of the main engine completed as soon as possible to get the ship back fishing,’ he said. ‘I would like to thank the Norwegian Consulate General in Murmansk, and especially the Consul Astrid Nærum, for their invaluable assistance during their stay in Murmansk,’ said Arctic Swan’s skipper Gert Sandvik. Fishing vessel operators’ federation Fiskebåt was also involved during the process in Murmansk, and its director Audun Maråk commented that he is relieved that the ship has been allowed to sail, although the incident highlights the need for more dialogue between the Norwegian and Russian authorities. ‘During the inspection, the skipper was asked questions and presented with a set of rules that show that much better information exchange is needed,’ Audun Maråk said.